Saoirse Ronan: Stór na hÉireann nó pian inár dtóin? Le blianta anuas, Baineann Hollywood leas as ár gcultúr, mar dhaoine Éireannach – níl Saoirse Ronan difriúil in aon chor. Caith súil ar an scige mhíchlúiteach ar Saturday Night Live maidir le hAer Lingus. 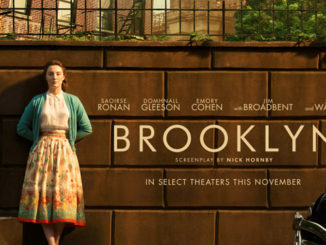 Megan Roantree takes a look at the the big-screen adaption of Colm Toibin’s novel Brooklyn, starring Saoirse Ronan.